If you can’t already tell, we live in a dystopia. The technology we’ve spent decades to harness and refine now controls what we see via black-box algorithms. Whether it’s training us to view and like sponsored content, or simply catching us in a novelty-seeking loop to increase interaction and time-on-site for shareholders, we’ve slowly allowed the promise of the open internet to narrow and centralize until it mostly serves the needs of private investors. 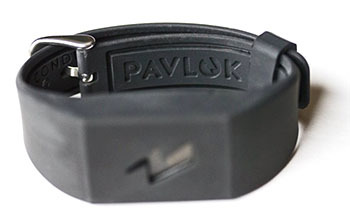 The Pavlok delivers an electric shock to your wrist when it detects you are engaging in a self-declared bad habit. It connects to your phone, where you enter your bad habits. This may work (users report it breaks soon, sometimes before its first use) but it’s a short leap from masochistic lifehacking to companies offering bonuses to employees who wear Pavlok to increase their productivity at work. Then, the companies require use of Pavlok during work hours for all employees, to make it “more fair.” On-call employees have to wear them at all times outside of work, for obvious reasons. Then, a study shows that schoolchildren show a 6% increase in test scores when equipped with Pavlok. The superintendent describes the electric shock as a “fun tickle” in the assembly where the devices are distributed. 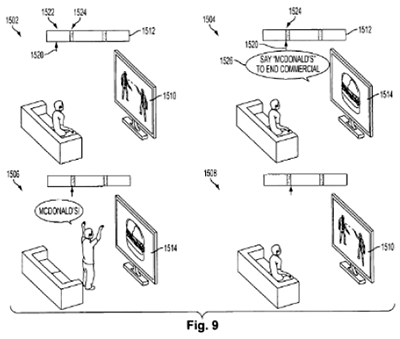 Below is a real illustration from Sony patent 8246454 B2 from 2009. Our dystopia is real. This is what we got instead of the equality, leisure time, and freedom we could have had if the greed of the ruling class hadn’t condemned us to this living hell.